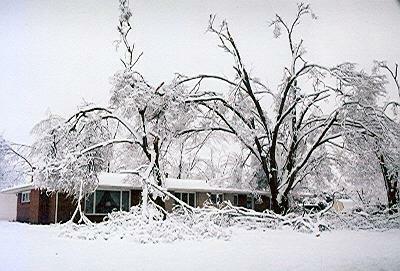 On January 8, 5 inches of snow fell, damaging more trees and power lines, and slowing the recovery efforts. 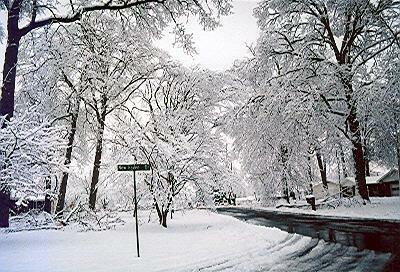 Snow bends down the tree limbs that haven't broken yet. 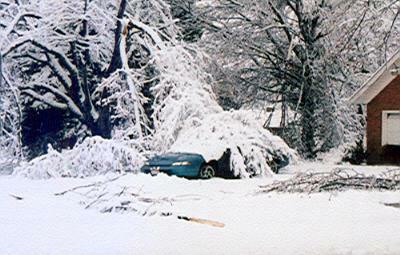 A car buried under tree limbs, snow, and ice. A winter wonderland? Not quite - no power, no heat. 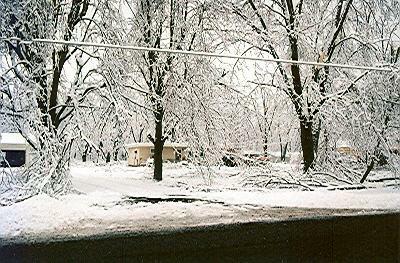 Snow covers the trees and the fallen limbs. 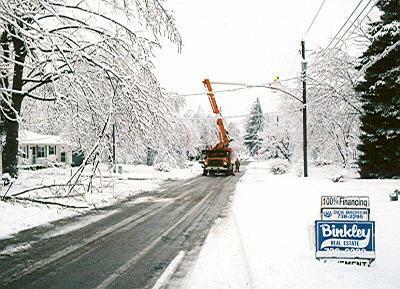 A welcome sight - repairing the power lines.